Jules' Got Style - Boutique Girls Clothing Blog: FALL CLEARANCE SALE! Up to 40% off your boutique favorites! FALL CLEARANCE SALE! Up to 40% off your boutique favorites! 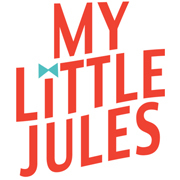 My Little Jules' FALL CLEARANCE SALE is in full swing! Now through November 16, save up to 40% on your favorite brands like Paper Wings, Livie and Luca (shoes and boots), Lemon Loves Lime, MaeLi Rose, Hannah Banana and many more. Click here to shop. Plus, save an extra $10 on your order when you sign up to our VIP Texting Club. Simply text JULES to 51660 to receive your coupon code. We will be adding more brands in the following days, so keep an eye out for our newsletter and Facebook announcements. FREE SHIPPING on US orders of $50.